Naomi is taking her first college entrance examination today. Her dad accompanies her. She doesn’t look like nervous at all according to her dad who texted me. She knows that we cannot afford the tuition fee in that prestigious school, but she said she wanted to pass the test just the same. The test will last for five long hours and may include a practical test (if that’s what they call it) wherein they will be asked to draw if they will pursue a course in Fine Arts and Architecture. She’s so busy the past few weeks and wasn’t able to draw. I scan through her drawing pad and saw this. It was her classmate’s portrait. 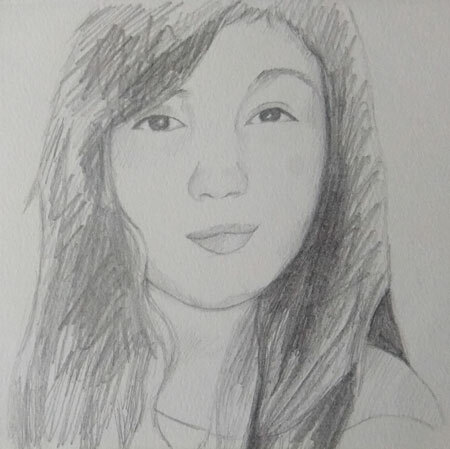 This entry was posted in Artwork and tagged college, college test, entrance test for college, fine arts on September 30, 2012 by Yami.